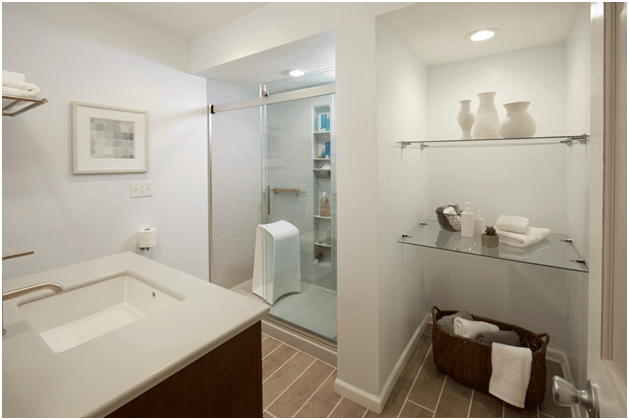 As we consider redoing our bathroom, I have spent a great deal of time researching shower walls and bathroom accessories. One collection that has really caught my eye is the Choreograph™ collection from KOHLER. When it comes to smart design and ability for customization, the Kohler Choreograph collection is clearly in a class of its own. 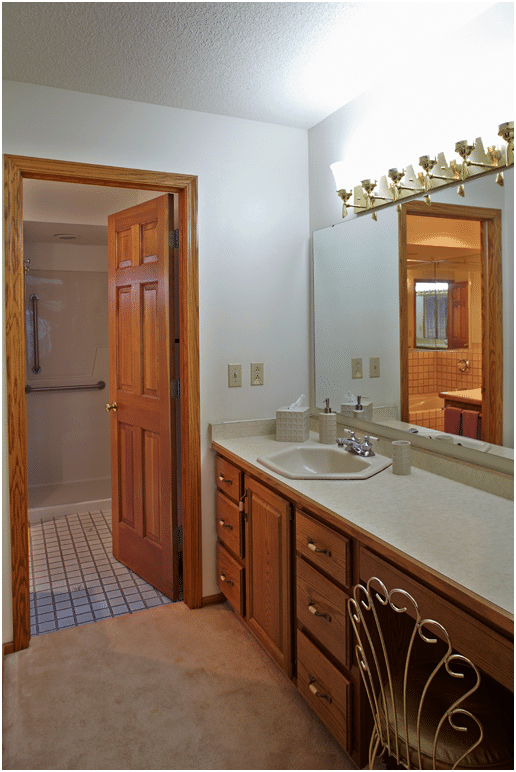 Take a peek at these before and after images of KOHLER Choreograph bathroom remodels. 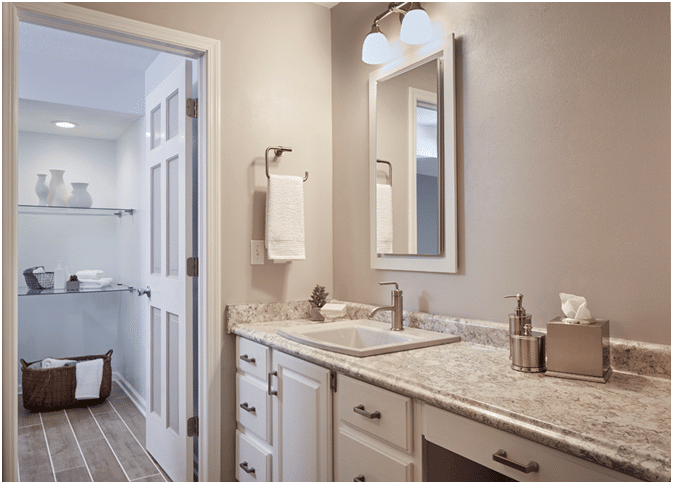 The Choreograph collection features shower walls, made from durable Serica™, that come in a wide variety of colors, patterns, and textures, making it easy to choose the right material to match the look you are going for. The collection offers many accessories such as a floating shelves, hooks, shower barres, storage units, and more. The accessories in the Choreograph collection can be placed anywhere in your shower, which helps to further customize the look of your shower. 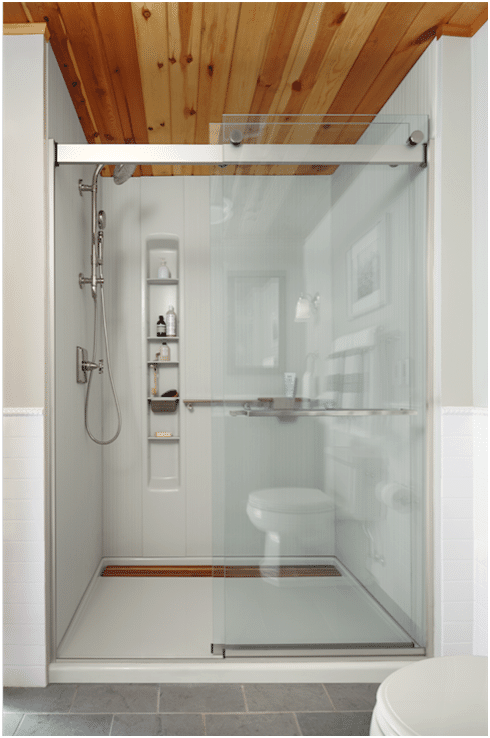 Installation of the shower wall is quick and simple thanks to the joint system. Walls can be custom cut and even installed over tile. In my opinion, the very best part of the Choreograph collection is how easy it makes cleaning your bathroom. The shower walls leave a very minimal seam, and they even conceal the silicone. This makes for easy shower wall wipe-down, and no grout to scrub. Additionally, many of the Choreograph collection's accessories can be removed for easy cleaning – and some are even dishwasher-safe! While the Choreograph collection's shower walls and accessories can be used separately, they are designed to work together, and I would recommend that you use them together to create the ultimate showering experience in your bathroom. Wow those are beautiful changes. My Son is getting ready to buy a house so I am looking out for ways to update the place. Very nice, but I’d love some warm colors mixed in personally. Beautiful! 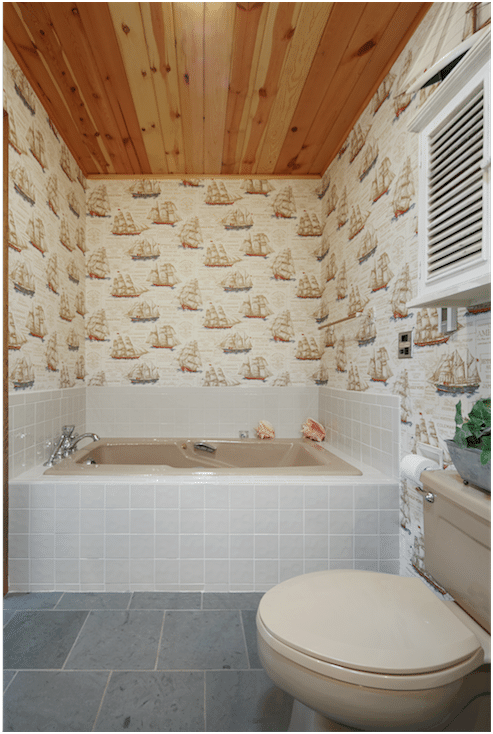 I would give anything to have my bathroom look like any of these! The bathroom is beautiful what anot improvement. My daughter and her family just moved into their new house last month and they are still redoing rooms in their home. I will show her these. My husband just replaced our kitchen sink’s faucet and handles with a Kohler set and it has totally looks upgraded and and different. Thanks for sharing!! I love how sleek this turned out! But it’s not “cold” like a lot of modern designs. Great job! Wow! 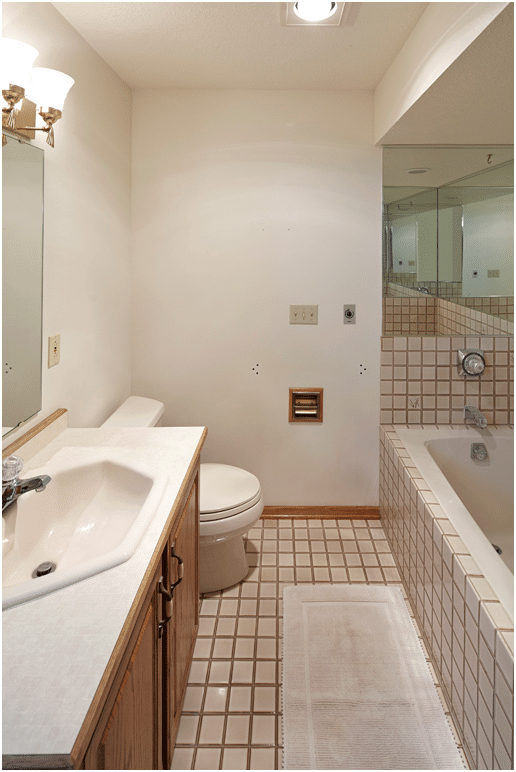 Those are some beautiful changes to your bathroom.It’s amazing when you take before and after shots to compare.